After the iHeartRadio festival Rihanna shared this photo of her fabulous red manicure. The gel polish was Red Carpet Manicure‘s Your Fortune Awaits and was applied by her manicurist Kimmie Kyees. The limited edition red polish costs $5000 and includes four carats of actual ruby dust, hence the price. Luckily, Red Carpet Manicure has released a consumer version called Draped In Rubies, which became available at Ulta Beauty Stores on October 1st. 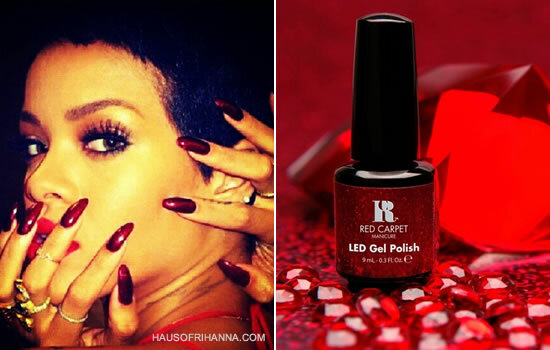 This is not the first time that Rihanna has worn one of the RCM’s limited edition polishes. 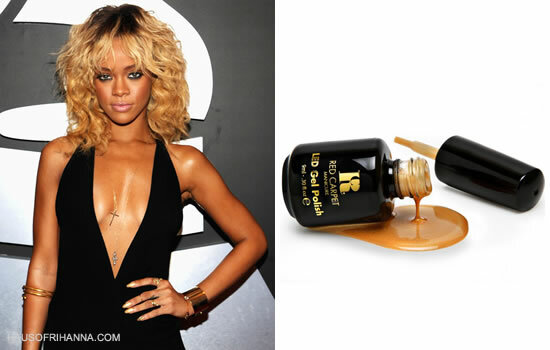 Rih wore their Amor 24 polish to the 2012 Grammy Awards. That polish contained an ounce of 24k gold and was also worth $5000. Despite the hefty price on these polishes RCM is actually well-known for providing at at-home gel polish kits for the average woman. For more information about the brand please visit their official website.